You can expect such magnificent frescoes and ceilings in churches or castles. 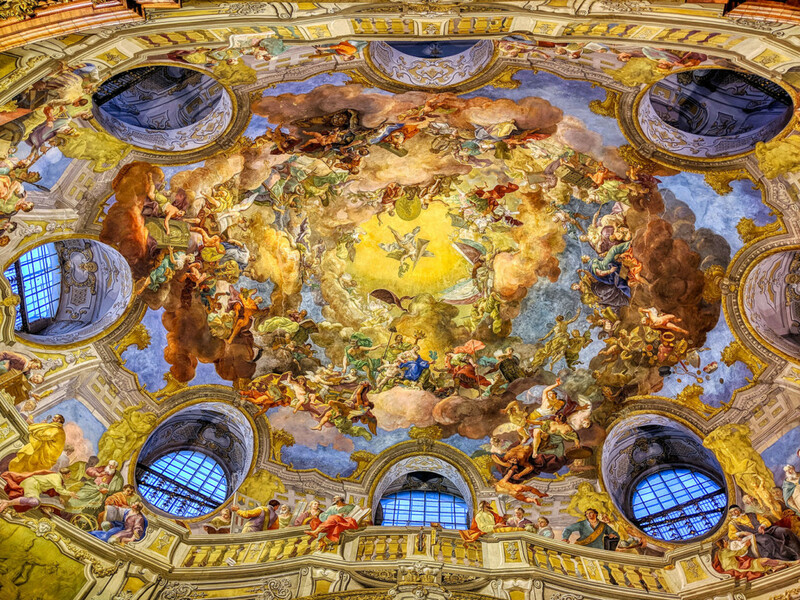 The Austrian Nationalbibliotek also houses these large ceiling frescoes in the “Prunksaal”, painted by court painter Daniel Gran. Locally you can see that many figures and elements were painted in 3D style, and this happened 300 years ago.